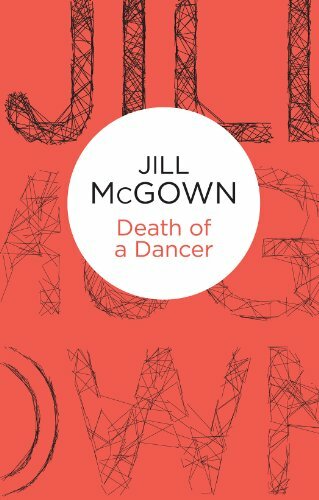 My current read is Death of a Dancer by Jill McGown, number three in the Lloyd and Hill series. I originally read many of these books many years ago on loan from the library, but was thrilled to find them published for the kindle a few years ago – sadly I only made it to book two then but here I am picking up the thread again after a break. The murder of a deputy headmaster’s wife on the night of the Sesquicentennial Ball at a minor-league boys’ public school brings together the team of Inspector Lloyd and Judy Hill. Diana Hamlyn’s body has been found on the school’s playing field. Death had been caused by the traditional blunt instrument, her clothing was disarrayed, her underclothes missing. It was a particularly disturbing killing. 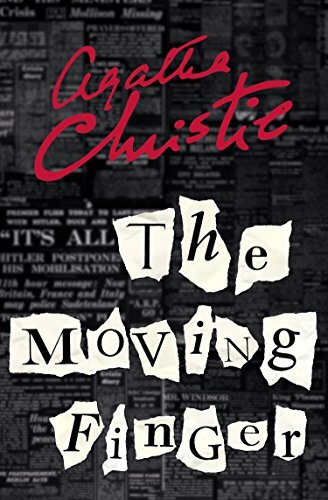 The last book I finished was The Moving Finger by Agatha Christie although strictly speaking I listened to the book, rather than read it! Miss Marple did it again using the voice of June Whitfield! Lymstock is a town with more than its share of shameful secrets – a town where even a sudden outbreak of anonymous hate-mail causes only a minor stir. Next up I think I’ll step away from murder for a moment and read The Girl in the Letter by Emily Gunnis. What does your reading week look like? So glad you’re enjoying June Whitfield’s Miss Marple. It’s Black History Month, so I’m diving into some new to me, but classic and contemporary African and African-American authors, so just read and absolutely loved my first Bernice McFadden novel Praise Song for the Butterflies and I’ll definitely be reading more of her work, also my first James Baldwin, If Beale Street Could Talk, which happens to also be on at the local cinema and now onto another classic The Joys of Motherhood by Buchi Emecheta. This is the month to boost the TBR in that respect, especially with my friend and fellow literary blogger, also based here in France, Didi @browngirlreading who does a Feb photo challenge on Instagram #ReadSoulLit where readers share their favourite books by people of colour. I remember watching the TV adaptation of The Moving Finger. If I remember correctly, the key to the mystery is something that didn’t happen? I have The Girl in the Letter in my TBR pile although, of course, I could say that about so many books! I’ve got The Girl in the Letter calling to me from the TBR too! I think THE GIRL IN THE LETTER sounds very good. And only hours to solve it. Intense. If it’s a Miss Marple, I have read it, numerous times. Love them. New narrator to me. Glad to hear she does a nice job. I’ve not read any of Jill McGown’s books. I’m vaguely familiar with the series. Another to check out. Have a good week, Cleo! The Moving Finger is a good ‘un, Cleo, in my opinion. I’m glad you enjoyed it. And I like the McGown series – I wish it were better-known. I hope you’ll enjoy Book 3. It’s interesting, isn’t it, how some series get a lot of media/public attention, and others don’t, even when they’re very nicely done. Like you, I read the Jill McGown series many years ago. So long, that I barely remember it, though I seem to recall I enjoyed it. 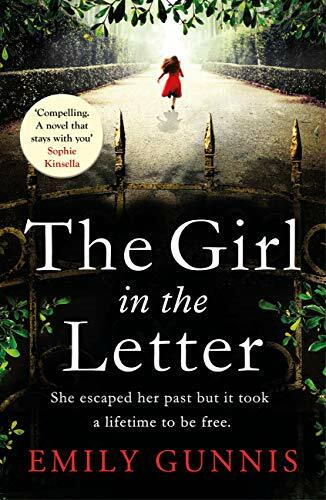 “The Girl in the Letter” sounds good, though maybe heart-breaking. Enjoy your reading this week! 🙂 It looks like you’ve got some good ones here. I didn’t realise that June Whitfield had narrated some of Agatha Christie’s Miss Marple novels – I’m definitely going to have to look those up. The Girl in the Letter sounds really good, I hope you enjoy it. All of these are new to me. Nice list! The Moving Finger is awesome, I never guessed the killer. This week, I have been reading Crazy Rich Asians by Kevin Kwan and it’s really good fun. I can imagine June Whitfield would have been a great narrator for Miss Marple! Great cover for Girl in the Letter.